The GITM (Goa International Travel Mart) 2014 is scheduled to be conducted at Taleigao from 2nd to 4th April, and is expected to be bigger than ever. 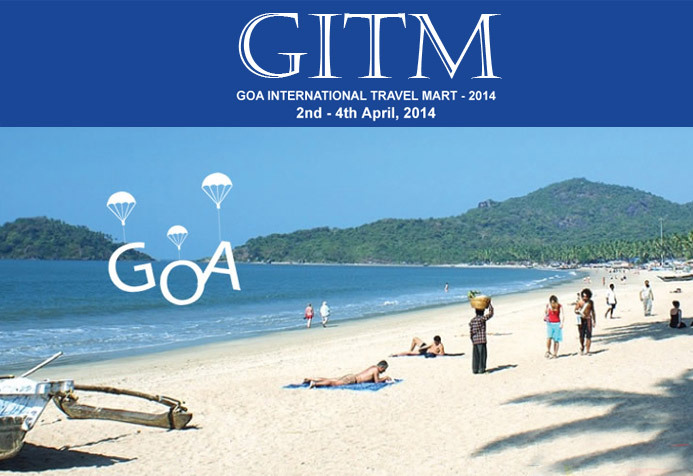 Over 125 international buyers are expected by the Goa tourism to participate in GITM’14. The prospective buyers are from USA, UK, Germany, France, Austria, Turkey, Hungary, Italy, Russia, Czech Republic, and Poland. Mr. Dilip Parulekar, tourism minister said that this travel mark will provide as a platform for face-to-face networking between travel trade, hoteliers and other stakeholders from Goa and leading travel agents from India and abroad. He also added that the efforts of the tourism department have resulted in progress, though in a slow pace. This season, the total footfall has marked an increase of 12.37% and the inflow of foreign footfall has increased by 9.27%. On Thursday, Parulekar also launched the GITM website and the GITM mobile application. Tourism Director, Nikhil Desai said that about 1,000-1,500 travel agents and tour operators are also expected to get register for GITM. State tourism is also said to host about 335 participants, which includes 150 domestic buyers, 125 international buyers, 25 international media, and 35 national media. The organizers also claim about the overwhelming response so far. Along with the travel industry professionals, the travel mark, will also host representation from those who organize niche tours, leisure activities, event managers, prominent travel writers and columnist. Director Sphere Travelmedia, Rohit Hangal, in his presentation on GITM, informed that different facets of Goa's tourism will be highlighted. A special Goa exhibition area will also be created to feature festivals, beaches, nightlife, heritage trails, meetings, medical tourism, MICE (meetings, incentives, conferencing and exhibitions), monsoon tourism and others that play crucial role as tourist attractions in Goa.